Wedding bells or loon calls? Fancy floral arrangements at the altar or aspen, pine, and birch surrounding the congregation? Ceremony in a solemn church or at sunset on a lake shore? We could say these decisions are easy ones to make, but perhaps that’s because we’ve found our Top 10 Northern Minnesota Wedding Resorts. The Land of 10,000 Lakes proves to be a fairytale setting for the beautiful bride and dashing groom. You’re getting married at the edge of Lake Superior, or Gull Lake, or Lake Bemidji, or…you might get so caught up in the Northwoods charm that you say “I doooooo” in a true Minnesota accent. We won’t judge. Say your vows on the shore of Lake Superior, with a vast expanse of water and sky for your chapel. Hold your ceremony on the pebble beach or at the ceremony site just adjacent to the lodge at Superior Shores Resort & Conference Center. Whatever you choose, you'll have a stunning backdrop for your ceremony. And, with a bridge spanning the brook in front of the lodge and a cobblestone trail to the shore, all you need for a memorable entrance is ready and waiting. During your reception, savor your choice of a plated dinner or lavish buffet featuring options like fresh fish or slow roasted prime rib furnished by Kamloops Restaurant. And the setting will be as beautiful as the food is delicious. The spacious banquet hall offers a blank slate that you can decorate to make the reception a celebration you and your guests will always remember. Looking for a casual and comfortable rehearsal dinner? Try a barbecue on the beach and enjoy delicious food, a crackling fire, and a spectacular sunset over the lake. The stunning natural beauty of the lake isn't the end of the sights you can see near Superior Shores Resort. You will be just minutes away from Minnesota State Parks, Gooseberry Falls and Split Rock Lighthouse. Take a break from the hustle and bustle of your big day by having a bonfire on the beach. It's a great way to spend a moment with your family. Contrary to rumors, Northern Minnesota does not entirely shut down in the winter. In fact, many well-insulated weddings occur during this enchanting season. Through this and more, Lutsen Resort has proven itself worthy of our No. 2 spot for a classic Minnesota wedding – with or without the snow. In spirit of the bordering woodlands, a wooden, woven archway presides over your ceremony and Lake Superior stretches out endlessly into the horizon. Take wedding pictures with this striking beach background in sunshine or snowfall. Brides stand amidst bright purple, blue and hot pink flowers or in white fur-lined coats with hand mufflers, smiling through snowflakes with a rosy-cheeked wedding party. One enticing reason for a winter wedding is Lutsen Resort’s easy access to Lutsen Mountains Ski Area. But if you hold your wedding in the spring, indulge in a waterfall tour! The surrounding steep rock canyons turn into rushing rivers and a cascading waterfall when the snow melts and the spring rain begins. And if you just have to get out and enjoy those cool summer nights, take a guided night hike! With all this and more, Lutsen Resort is your refined yet rustic Minnesota wedding destination. Lutsen’s lodge lobby is host to live acoustic concerts during the summer, winter and fall. You can also find more live music in the winter at Poplar River Pub. Lutsen Resort is situated 90 minutes northeast of Duluth on Lake Superior’s north shore on Hwy. 61. From the Twin Cities area, take I-35 West north out of Minneapolis, through Duluth and to Hwy. 61. Then, follow Hwy. 61 for about 90 miles north to Lutsen Resort. Lutsen Resort also caters to newlyweds looking for a romantic honeymoon destination. Stay in a log home with a deck overlooking Lake Superior or in a Poplar River condo with a Jacuzzi in your room! On the shores of Lake Mille Lacs, you'll find a resort that has everything you'll need to make sure your special day goes off without a hitch, while you and your special someone are getting hitched! From the rehearsal dinner prior to your event, to the gift opening the morning after, Appeldoorn's provides everything you need for your dream wedding. The resort offers a variety of packages to make sure your event fits within your budget. Find out what you'll get with the Silver, Gold, and Platinum packages when you visit the property website. For your bachelor and bachelorette parties, Appeldoorn's offers a bevy of activities to enjoy together. The ladies are sure to love the idea of a day spent soaking up some sun on the beach. If you're looking for a little more activity, spend the day boating, jet-skiing, or fishing. The "Adventure Package" is great for bachelors and bachelorettes, and features a fishing launch trip and three hours of Appledoorn's Backwoods Paintball. Of course, the facilities are what you're looking for when planning that dream wedding. A 2,000-square foot ballroom includes seating for up to 200, and two additional conference rooms are available for different sized groups, or overflow seating. A state of the art sound system and interactive display systems will make your reception and wedding dance a memorable experience for all. Planning the ideal wedding is easy when you've got a great destination and friendly staff to help out along the way! Located on the opposite side of Lake Mille Lacs (a 30-minute drive) from Appeldoorn's Sunset Bay Resort is Grand Casino Mille Lacs. Here, you can enjoy slot machines, live gaming, and more. Make sure to inquire about the Photo Booth when putting together your wedding package. The photographer may be able to create a custom mosaic out of all your entertaining photo booth pictures, offering memories of this special day that you'll treasure for a lifetime. Fly on the wings of love – or land on one of Madden’s airstrips? Take a swing at love – or on The Classic, Minnesota’s only five-star golf course? Propose on the beach beneath a pearl white moon – or exchange vows beside the tranquil Gull Lake? At Madden’s on Gull Lake, you can do all of the above. Not only will you hold the hand of your bride- or groom-to-be at Madden’s, you will also be guided by the expert hands of the professional team of wedding coordinators. Begin your lifetime together on Madden’s lush green grass beside the lapping lake waves as the orange sun melts into the coast’s tree line. Dance your first number as a married couple on the floor of Town Hall Governors Ballroom and enjoy delectable food options, such as tilapia dusted in Cajun spices, mushroom ragout or a fresh pastry from Madden’s talented chefs. A wedding party can never have too much fun - it is called a “party” - and Madden’s knows how to party. Visit the Tennis and Croquet Club, go trapshooting, play a game of badminton, shuffleboard or horseshoes, take a water-skiing lesson or simply relax at Madden’s Panache Spa. Madden’s Romance Package has it all for just the two of you: two nights lodging, a bottle of wine with chocolates, breakfast and golf on Pine Beach East, Pine Beach West and the Social 9. From Minneapolis/St. Paul, follow I-94 West to Clearwater. Then take the Hwy. 24 exit. Follow to Hwy. 19 and then turn left to follow Hwy. 10 West to Little Falls. Follow Hwy. 371 to Baxter and the intersection of Hwys. 371 and 210, the Brainerd Bypass. Continue straight on Hwy. 371 for four miles to County Rd. 77. Turn left and drive for 7.5 miles to Madden’s. The founders of Madden’s, T.H. Harrison, his son and Chester Start, built a golf course first and then a hotel on the site that is now Madden’s on Gull Lake. The charming lake and woods environment of the Quarterdeck Resort is ideal for a perfect wedding ceremony. Imagine your special moment surrounded by beautifully landscaped gardens, and the Gull Lake waves lap at the beach as your backdrop, all these can become an affordable dream-like reality at Quarterdeck Resort. Here, you will find a lovely setting and an unforgettable atmosphere for your Minnesota wedding! Let their professional staff assist you in planning a perfect event. They will take care of every detail including catering, tents, music, photography, flowers, transportation, beauty services and the rest! Quarterdeck Resort offers the perfect lodging for the wedding party. Your guests will indulge in the lakeside cottages, lakeside lodge suites, and main lodge! The interior banquet space seats up to 175 guests. A two-sided fieldstone fireplace reaches the soaring cathedral beam ceiling to create a dramatic setting for any event, while the preserved 1950’s Chris-Craft boat bar adds a nautical ambiance to your event! Whether you’d like a traditional wedding surrounded by some of mother nature’s best, or something a little more bold, the Historic Afton House Inn can accommodate you. Much like the beautiful nearby St. Croix River, your wedding will be as memorable and timeless as they come. If you’d like an luxurious wedding, look no further than the Inn’s Pennington and Wheel Rooms. Both offer authentic country ambiance, with the Pennington catering to smaller groups and the Wheel holding up to 130. Your family and friends will love relaxing in the 25 beautifully decorated Jacuzzi and Fireplace Suites available to them, while the Inn’s experienced wedding coordinators will make preparation a snap. If you and your partner are more adventurous, the Inn also offers weddings on their Cruise Lines! Get hitched literally on the river for a ceremony unlike any you’ve seen before. Anywhere from 10 to 350 guests can explore the high seas with you, so make like a pirate and yo-ho to the Historic Afton Inn right now! The population was 2,886 at the 2010 census. Resting on the shores of Lake Darling, Arrowwood Resort and Conference Center offers a truly romantic setting for your wedding celebration. This luxurious Minnesota destination features beautiful venues that can host anywhere between 25 and 400 guests and has a prepared, professional staff that's ready to work with you through every little detail. Whether you're planning something quiet and intimate or looking to take things to the next level, you're sure to create a wedding event that everyone will remember. Arrowwood offers a variety of options for your rehearsal dinner: host the event out on their lawn or the patio over the lake, or celebrate out on the beach with a Hawaiian Luau! Afterward, you and the bridal party can enjoy a relaxing pontoon ride along the lake or take in a game of golf at the onsite Atikwa Golf Course. For the big day itself, exchange your vows overlooking the waters and settle down for a grand reception dinner at the elegant ballroom. The morning after is reserved for gift opening during a continental breakfast or a full brunch buffet; it's a great way to top off your unforgettable wedding event! The onsite Darling Reflection Spa is waiting for you and the bridesmaids for a little indulgence before the big event. Unwind with a soothing massage and get dolled up for the celebration with manicures and pedicures! The resort offers audio/visual equipment such as a dance floor installation, LCD projectors and microphones for an additional cost. Plan the wedding of a lifetime at The Lodge at Giants Ridge! Located in the true north woods of Minnesota, fall weddings at Giants Ridge are simply gorgeous. 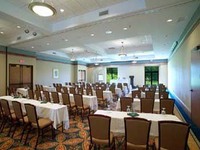 The Lodge has four meeting rooms that accommodate groups from 20 to 350. There's no question why The Lodge at Giants Ridge is the premier wedding and banquet venue in Northern Minnesota. The friendly staff is always willing to help plan your special day from beginning to end! You can also plan your honeymoon at The Lodge at Giants Ridge! It's equal parts relaxing, romantic, and adventurous. Start and finish your honeymoon in the beautiful Northern Minnesota hillside. Spend an afternoon at Laurentian Divide Salon & Spa, play a round of golf at The Legend, cuddle by the fireplace, soak in the whirlpool, and hike one of the many adjacent trails. The Lodge at Giants Ridge is the premier honeymoon locale in the great state of Minnesota! Red Wing's prime location along the banks of the Mississippi River offers you and your fiance the opportunity to plan the perfect Minnesota wedding, and the helpful staff at St. James Hotel will make your special day unforgettable. Offering ceremony, banquet, and ballroom spaces, in addition to 62 elegantly furnished guestrooms that everyone in your party will enjoy, the St. James Hotel is the ideal wedding venue. Whether you are looking to plan and indoor our outdoor ceremony, the hotel has exactly what you're looking for. An onsite wedding coordinator will help you plan every detail of your special day, from catering and menu tasting to decorating. State-of-the-art A/V equipment gives you the ability to customize your reception and event. Plus, with a spa right onsite, you'll have the opportunity to rest and relax in the hours leading up to your ceremony. Weddings aren't the only group events that St. James Hotel is capable of hosting. Inquire about your next conference, meeting, or family reunion! There is a belief that a lyric from one of Bob Dylan's song is a reference to time spent at the St. James Hotel. Lush countryside, rolling hills, babbling brooks… It’s not Eden. It’s Stillwater, and more specifically, the land surrounding the beautiful Outing Lodge. If you’re looking for a idyllic countryside wedding, The Outing Lodge is the perfect place for you. The many beautiful gardens on site will make for a colorful and stunning backdrop for your guests to immerse themselves in. Whatever size, the Outing Lodge will be happy (weather cooperating) to set up your wedding anywhere on their 350-acre plot. You and your guests will enjoy casual strolling, relaxed picture taking, a pastoral ceremony and a carefree receiving line. Afterwards, enjoy a feast prepared by the fantastic chefs, then end the night by sipping champagne on the patio, under a starry night sky. If the weather is not so cooperative, the library accommodates up to 150 guests and you can say your vows in front of a charming white marble fireplace or a floor-to-ceiling 18th century oak mirror. Yowza! On October 18, 1921, Charles Strite invented the automatic pop-up bread toaster in Stillwater. Big Sandy Lodge & Resort is truly an ideal setting for your big day. It's incomparable personal service, astounding venues, and beautiful environment with blow you and your guests away! Up to 100 of your friends and family can be easily accommodated in Big Sandy Lodge's banquet room, while its gorgeous lakeside grounds offer a beach wedding atmosphere for an elegant outdoor ceremony. The full service bar and large outdoor decks mean that your guests will never want for a good time! The lodge itself can transform into an opulent indoor venue, where you'll tie the knot in style. Make the right decision- come to Big Sandy Lodge & Resort for your wedding! We’ve heard of newlyweds being referred to as “love birds” but at Grand View Lodge, the couples reminded us more of “love loons!" Here you'll arrange your northern destination wedding in true Minnesotan style, from the ceremony to the lodging to the activities. Tie the knot beneath the boughs of emerald green trees next to stone walls and vibrant gardens. Take the Northwoods beauty beneath a white tent and archway laden with flowers. Walk down the aisle carpeted with flower petals and the lingering scent of fresh pine. For a moment of blissful seclusion with your spouse, escape to the Grand View gardens with a lantern-lined, paved pathway. Stay in a sleek, historic Main Lodge room. If you can tear yourself away from this charming room and its convenient location close to Glacial Waters Spa, you’ll find Grand View Lodge bustling with entertainment. Swim in the indoor pool with a 110-ft. water slide and three fountains. Or, lounge in one of the two hot tubs before heading to the beach. And even though you’ve just reeled in the best catch of your life (your new spouse), try to catch another keeper (like walleye, trout or bass) from Minnesota’s Gull Lake. For more walking paths and hiking trails, try the Paul Bunyan Trail, which has up to 100 miles of trails from Brainerd to Bemidji, or the trails in Pillsbury State Forest. From Minneapolis/St. Paul, take I-94 West to the Clearwater/Annandale exit (#178). Turn right through Clearwater and Clear Lake. In Clear Lake, take Hwy. 10 West past St. Cloud and Little Falls to Hwy. 371 Brainerd. Stay on Hwy. 371 to Baxter. Continue about12 miles north on Hwy. 371 to the second intersection of County Rd. 77. Follow County Rd. 77 for one mile to Grand View Lodge on the left. Not only does Grand View Lodge have several challenging golf courses, in the winter, The Pines course becomes more than 18 kilometers of skiing trails. For those looking for a picturesque and serene location for your wedding look no further than the Hiawatha Beach Resort. Perched on the wilderness rich eastern shore of Leech Lake, Hiawatha Beach Resort is the perfect place for a wedding or romantic getaway. With backdrops of the lake and lush forests your wedding will gain an extra level of romance. The resort prides itself in its wedding services providing coordination, photography, reception and accommodations for you and all your guests. Have an unforgettable ceremony right on the water or have your ceremony on the expertly landscaped grounds of the resort. The reception hall is located directly on the water and can be fully customized to fit your wedding party. During the planning process they will decorate it to your standards and help you with the menu. The resort is also a great place for you honeymoon. The natural surroundings will give you and your spouse a relaxing and entertaining beginning to your lives together. Weddings are not the only fun activity at Hiawatha Beach Resort. Leech Lake is one of the best places to enjoy water sports in Minnesota. From tubing to scenic boat rides there is something for you. The experienced staff is ready to help you plan your dream wedding. Contact them now and watch your dream wedding come to life! The resort has a fleet of boats for rental. From pontoons to pleasure and fishing boats they have your watercraft needs covered. Hiawatha Beach Resort is filled with on site amenities. There is a game room for all ages, heated pool, beach, full restaurant with bar, movie viewings and free sports equipment rentals. You are about to embark on the most exhilarating path you’ve ever encountered and there’s no better way to start the journey than by holding your wedding ceremony at Bluefin Bay Resort on Lake Superior - voted Minnesota’s Favorite Resort by Minnesota Monthly magazine! As the sun sinks into the sky-blue waters and leaves specks of gold on the rising rocks around you, your family and friends witness the most beautiful sight: you and your significant other joining hands in marriage. Bluefin’s private Tofte Cove is the romantic backdrop to commemorate your already romantic occasion. Exchange vows and your first kiss as husband and wife on this secluded cobblestone beach. The fun doesn’t just happen at the wedding and reception either! Take a wedding party sea kayaking lesson on Lake Superior in double or single kayaks or hike to Oberg Mountain and breathe in the refreshing scent of spruce and cedar trees. Maybe you’ll even see the beaver pond! Or, perhaps you prefer to snuggle up to your new hubby or wifey in your suite with a private fireplace, whirlpool tub and lake views. Don’t go to bed with the sun. Stay up with the moon at one of two fire pits at Bluefin Bay Resort, one next to Bluefin Grille and the other at the base of the historic Boat Ramp in Tofte Cove. The Norwegian family that founded Bluefin Bay Resort in the early 1900s first moved to the shores of Lake Superior because a boat captain had promised he would “buy all the fish [they] could catch” and the land around the big lake reminded them of their home in Norway. Make the reception less stressful - and very delicious - by catering from the Bluefin Grille and Coho Café and Bakery. For a charming Northern Minnesota wedding look no further than BlueWater Lodge for your big day! Whether you are looking for a large extravagant, 400 guest celebration or a smaller, intimate wedding BlueWater Lodge has the place for you! Romantic chandeliers dazzle the ceiling, cater's create perfect meals for you and your guests and the DJ or band blasts the room using the fully integrated sound system all while over looking a dashing Leech Lake. Let all your wedding dreams come true today! The Lodge is four miles from Walker. Many resorts claim to make your very special day hassle-free, but what we love about the No. 3 spot is that they really have thought of everything! No matter the season, Cragun’s Resort will help you plan every detail and then require that all you do is sit back and enjoy the festivities. For the bachelorette party, enjoy a shopping expedition, a weekend getaway with the entire family, or simply an evening out with everyone. Meanwhile, the rest of your group can fully enjoy the bachelor party – a tournament on one of Cragun’s three premier golf courses. When your day comes, walk down the aisle of the Cragun’s Legacy Clubhouse patio, surrounded by beautifully manicured golf grounds, or opt for the peaceful backdrop of Gull Lake and stand between two willow trees, swaying gently in the lake breeze. If the grounds are as white as your dress with sparkling snow, light up the sky with fireworks, light your reception with ice candles or enjoy minty hot chocolate and roasted marshmallows at a bonfire. After the big day, Cragun’s can arrange a gift opening brunch. They will securely store your gifts and arrange them the next morning so that you can celebrate one more time before the honeymoon! Cragun's is consistently named one of the Top Wedding Venues in Minnesota thanks to their wide variety of indoor and outdoor wedding venues for your ceremony and reception. At Cragun's Legacy Course, the Legacy Pavilion can accommodate up to 250 guests while the Audubon Room can hold up to 50. At the resort, Hungry Gull Restaurant can host up to 125 guests. If you are looking to accommodate greater numbers, the Paul Bunyan Room holds up to 200 and the Lakeshore Room holds up to 300. The Lodging Dining Room at the resort is a great multi-purpose option, accommodating anywhere from 50 to 450 guests. Your Wedding and Bachelor/Bachelorette Parties aren't the only celebrations Cragun's can help you coordinate. They are also fully equipped to hand your Bridal Shower, Rehearsal Dinner, Gift Opening Brunch, and even a golf event or beach party for those summer nuptials. Cragun's Resort has been named the "Property of the Year" by Minnesota Innkeepers and a "Top Ten Resort" by Midwest Living. The resort's Legacy Golf Course has been rated as the "Midwest's #1 Golf Course", and is proud to be a Certified Bronze Audubon International Signature Sanctuary. Arrive or leave your wedding like a fairy-tale princess in a horse-drawn white carriage with velvety, plush red seats.